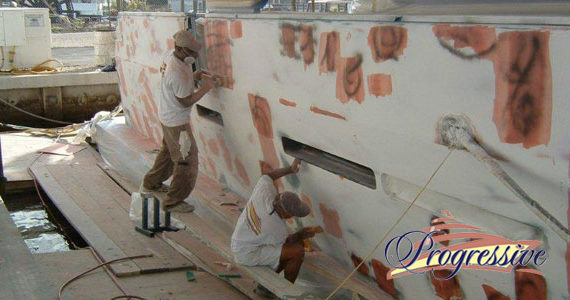 Yacht fairing restoration is the process of leveling or smoothing imperfections on the surface of a vessel due to hull gouges, blisters, pitting, low areas, dents or weld seams. 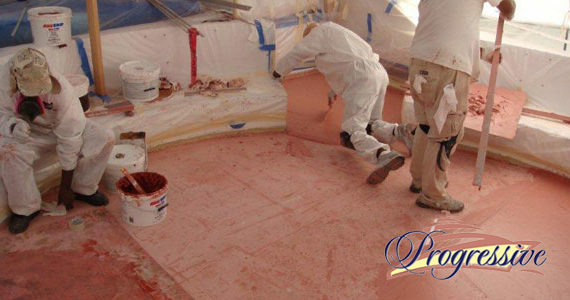 Most yachts, regardless of size or construction material, require filling and fairing compounds at some time either in their life or during development and design. Recently we have seen an increase in the number of yachts that use aluminum or fiberglass as the principal core materials in their construction. 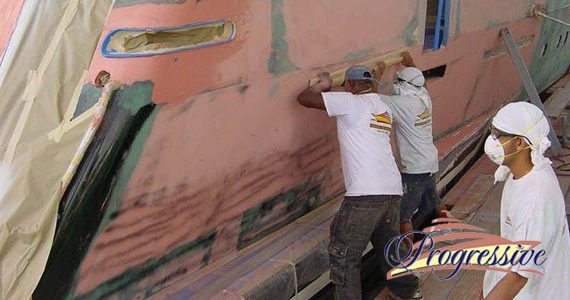 Fiberglass and aluminum hulls rely on extensive filling and fairing to give a surface finish which can match that of molded hulls. 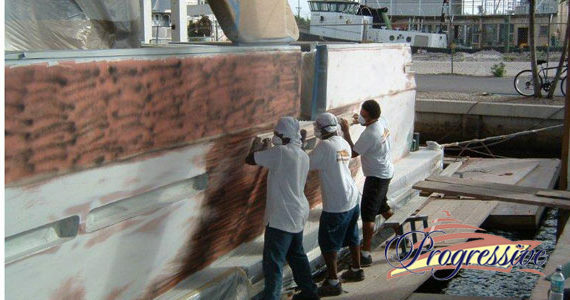 Steel boat builders also use epoxy filler to fair their hulls once the shaped steel plates have been welded together. 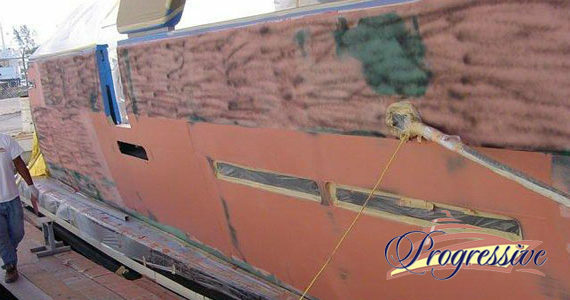 Fillers will take out any slight curvature imperfections and hide the welding lines before a final paint system is applied. 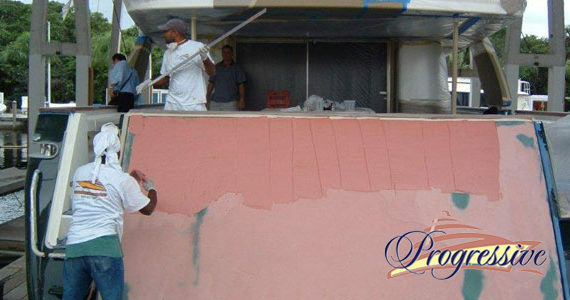 You may fair above or below the waterline, but you must use the right product. 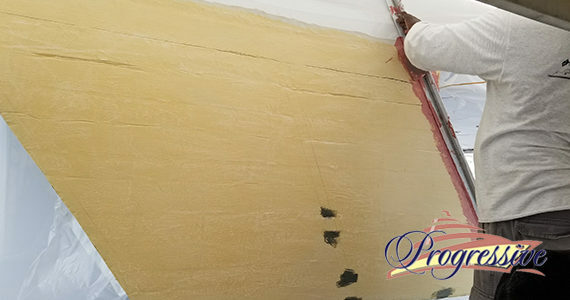 Progressive Yacht Refinishing Inc. is a leader in the applications industry and uses the latest technology to provide the best yacht restoration. 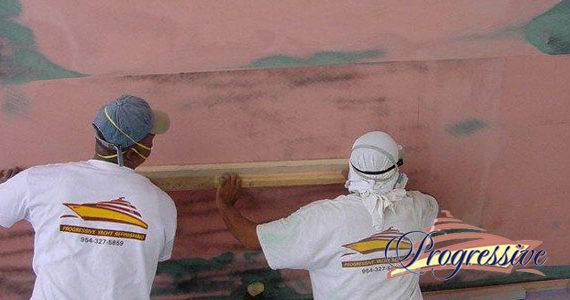 Tested and approved, we are here to help you achieve your goals and make you into a raving fan. 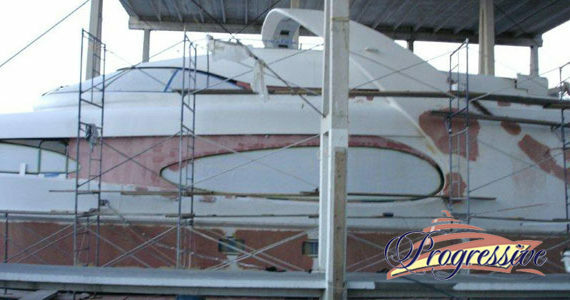 Get an estimate for fairing repair here.